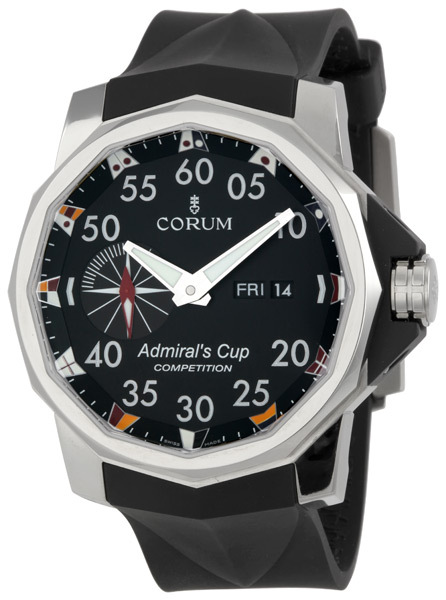 The Corum Admiral’s Cup 48 Competition is a timepiece that has a very unique and extraordinary design. Its distinctive look is completely different than the one of the other models from the Admiral’s Cup collection, but its particularity is represented by the extra-large 48 mm diameter case that was designed for extreme diving and luxury-sports. This modern sporty looking watch is one of the most attractive and popular timepieces on the market. It is a much sought after design for those who are looking for a stylish mix between sportiness and sophisticated looks. 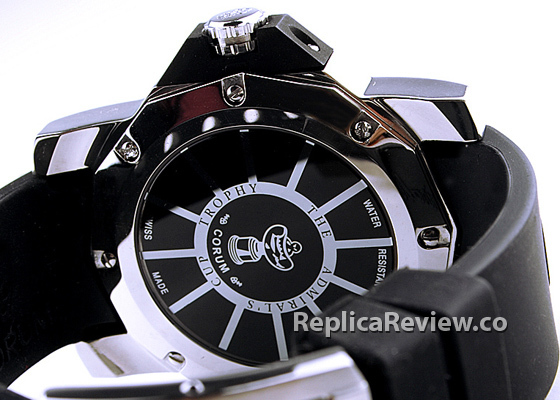 Its high popularity has determined numerous replica manufacturers from across the globe to clone it and sell it online. 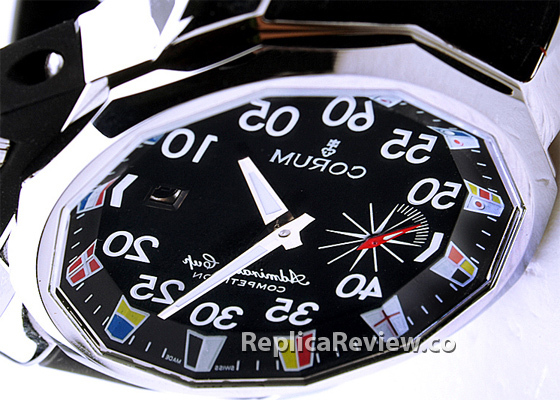 So all those who feel that this model is suitable for their style and are considering buying a knockoff should know a few basic things about distinguishing a fake Corum Admiral’s Cup 48 Competition from the genuine one. 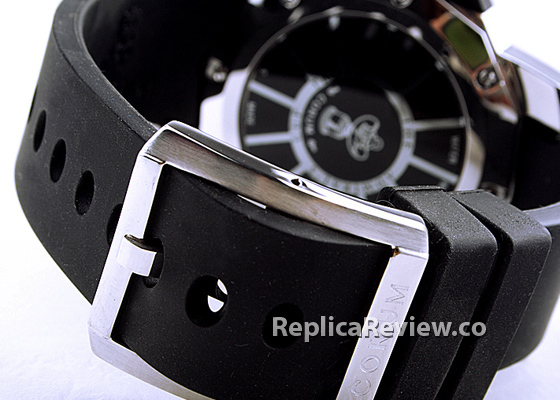 For instance, if you have a few pictures of the imitation watch and a few of the original product you mostly have everything you need for determining if it is a good quality replica or a badly made one. 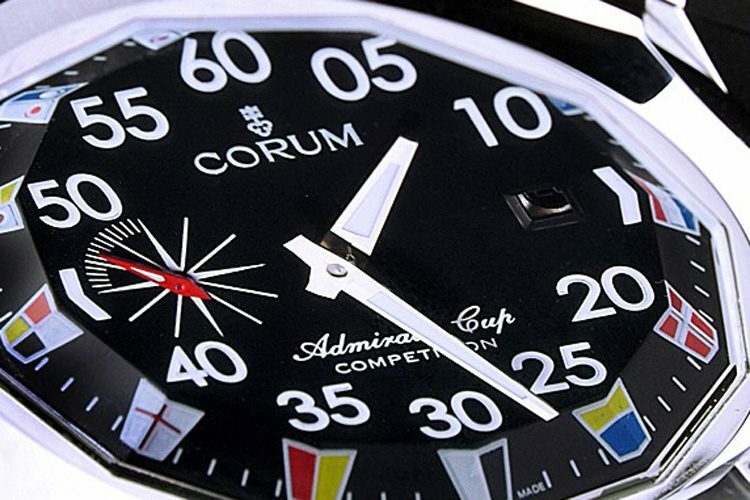 The part of the watch that you should pay great attention to is the dial of the Corum Admiral’s Cup 48 Competition replica watch. The face of the watch is very complex and sophisticated. It has numerous decorative details that are considerably difficult to replicate. 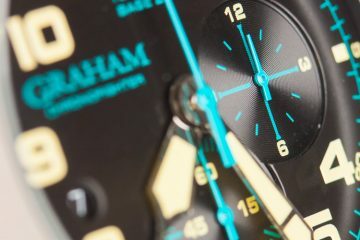 If we compare the dial of the fake watch with the one of the genuine timepiece we observe a few differences, like the distinct shades of the colored geometrical shapes that are located above the Arabic hour numerals, the layout and size of the hand and indexes of the 9 o’clock small dial, and the size and shape of the main seconds and hours hands. Other important differences are represented by the day and date window that is present on all the authentic Corum Admirals Cup watches, but on the replica from our pictures the day is missing. It has only a date window. Also, on the fake watch the “Admiral’s Cup” writing from above the 6 o’clock hour marker is in a different font and size than on the original timepiece. What we notice as being identical when it comes to the aesthetics of the replica watch are the bezel which is made from the same beautifully polished stainless steel, the black coated crown guard that contributes to a manlier look and the two-wheeled winding crown made from steel. Also, the original Corum Admiral’s Cup 48 competition comes with a scratch proof sapphire crystal that is very resistant to daily wear, but most often replicas come with a mineral crystal that isn’t so durable. The exception is the Swiss fakes that will always have a sapphire crystal. The authentic Admiral’s Cup 48 Competition is powered by a Caliber CO947 in house Corum movement that offers an extensive power reserve and extreme accuracy. On the other hand, a replica will either be equipped with a 21 jewels Miyota Japanese automatic movement or with a 25 jewels ETA Swiss self-winding mechanism. 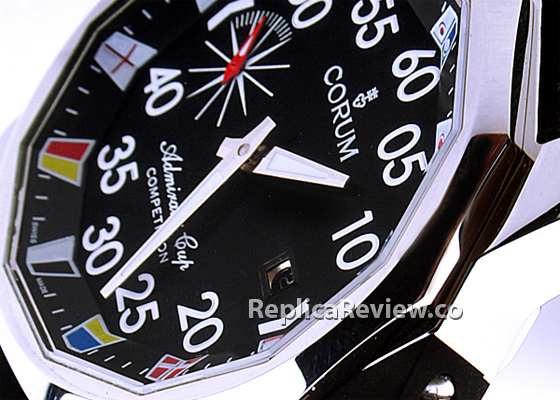 Even though a good quality Corum Admiral’s Cup 48 Competition replica has a 48 mm stainless steel case and this is considered the best material available on the market, the real one has a titanium case that will never be used for replicas. This metal isn’t something available for replica manufacturers. Also, do not forget to check the shape and material of the strap. Usually, this watch comes with a black rubber band that has a raised triangular shape near the lugs of the case and a simple silver buckle that features the company’s name. 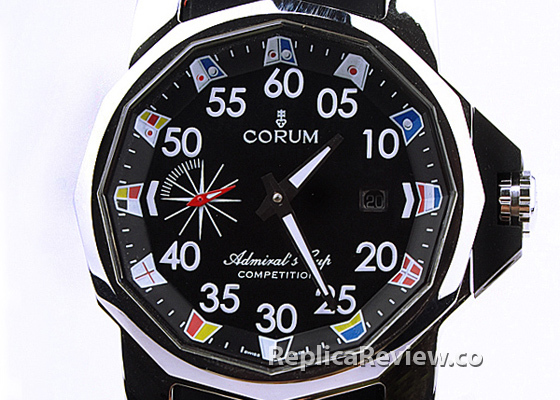 Simply check all these particular aesthetic and functional details of a Corum Admiral’s Cup 48 Competition watch and you will surely be able to find and purchase a high quality replica timepiece. Where can i locate the ‘Perfect’ replicas literally perfect of all the brands you’ve review on here i don’t mind the price range just looking for the most perfect replicas next to the originals.